Feeling creative? Love to draw? Love to play IM Sports? Enter the IM Sports 2019-2020 T-Shirt Design Contest. Entry Deadline: April 30. Click here to learn more! Mark your calendars for Summer Kids Camp featuring 10 one-week sessions beginning June 3, 2019. Water Exercise, Gentle Yoga, Dance Fitness, and Strengthening Classes Available. Free or reduced cost to all eligible SilverSneakers, Renew Active, and AARP Medicare Supplent Program members! Bird watching, moonlight canoeing, and other adventures offered to round out your spring semester. Group Exercise passes on sale at 40% off beginning March 25. BGSU receives 2019 grant funding from USA Swimming Foundation to offer learn to swim and lifesaving opportunities to local children. 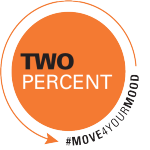 Recreation and Wellness inspires active and healthy lifestyles in BGSU students, faculty, staff, and community members. Check out the many activities, services, facility rentals, and open recreational options provided through programs including; Fitness, Outdoor Program, Intramural Sports, Sport Clubs, Membership, Wellness Connection, Aquatics, Youth and Family, Golf, Employment and Advertising. BGSU events, holidays, and other activities may impact these hours. See the links below for complete details.